Is it better to have a dental crown or dental filling? Did I just bite down wrong? Did I break a filling? Did I crack a tooth? Is there a loose piece or chunk of tooth rolling around in my mouth? Thoughts are racing through your head—worst and best case scenarios and how are you going to squeeze in an emergency dental exam appointment to repair whatever just broke. large corner of your back chewing molar off. Your dentist then followed up and explained your options, and the pros and cons for each. The dentist tells you, “The ideal option is to fabricate and place a dental crown. An alternate option is to place a very large dental filling”. As the dentist was reviewing the pros and cons of each option, you feel as though the dentist seemed biased and encouraged you to consider a dental crown over a dental filling. You’re likely wondering and asking yourself, why? Is it better to get a crown over a new filling? 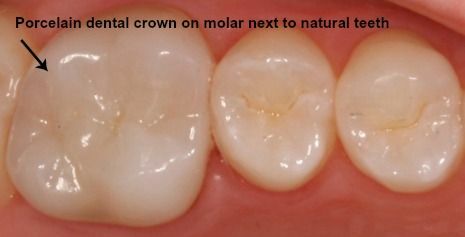 What’s the difference between a crown and a filling? How to know which option is best for you? These three questions above are pertinent in helping you to make an informed decision regarding how to decide which dental restoration is best for you. Before we delve into why and which is better, a crown or a filling, let’s first differentiate and understand what the difference is between a dental crown and a dental filling. What is the difference between a dental filling and a crown? A dental crown is a fabricated tooth shaped restoration (cap or covering) that is permanently cemented over your existing tooth to permanently change the color, shape, and/or contour of a tooth. First appointment. During the first appointment (90 minutes), the dentist will prepare your tooth to accomodate a dental crown. A tooth shade will be selected and a series of digital tooth and bite impressions will be taken and forwarded to the dental lab to fabricate your permanent dental crown. It takes most dental labs about two weeks to fabricate your dental crown. In the interim, your dentist will temporarily cement a protective covering over your prepared tooth preparation and encourage you to chew on the opposite side if possible. Second appointment. During the second appointment (30 minutes), the dentist will remove the temporary covering and place the permanent crown. The dentist will check the fit and make any necessary adjustments prior to permanently cementing your dental crown. A dental filling is a synthetic material that is placed inside a prepared tooth cavity in order to restore the strength, function, and shape of a decayed, broken, chipped, or severely worn tooth. Dental filling procedure. Once your tooth is feeling completely numb, the dentist will remove any tooth decay and prepare your tooth to retain a dental filling. Once prepared, a dental filling will be placed and contoured and adjusted according to your bite. So in the scenario above, placement of a dental crown seems like a much better option—long term as a dental crown would restore, protect, and cover the the tooth better than a dental filling. Why is a dental crown often times the better choice—long term? When a tooth requires restoring more than 50% of the visible tooth, a dental crown is most often the superior choice to a dental filling. A dental filling is held in place by mechanical retention inside your natural tooth structure. separate from the natural tooth enabling bacteria (tooth decay) to develop. As this happens, your tooth will likely become increasingly sensitive to chewing and/or temperature before the filling cracks or breaks requiring a replacement restoration—and possibly a root canal. Unlike a dental filling which is held in place by mechanical retention, a dental crown is a cap that covers and protects your entire tooth from cracking and/or breaking in the future. As you chew, chewing forces are evenly distributed and the tooth structure does not flex. And so long as the crown margins are kept clean (by daily brushing and flossing), the risk of developing decay around the crown is greatly minimized. A comparison list of the pros and cons of a dental filling and dental crown are listed below. Ideal for teeth restorations that do not replace more than 50% of natural tooth structure. Tooth colored option is available. Note: tooth colored fillings will discolor over time. Dental fillings can be placed in a single dental visit. Dental filling will require future replacement with either a larger filling or a dental crown. Elevated future risk of developing tooth decay and/or tooth fracture increases with age. 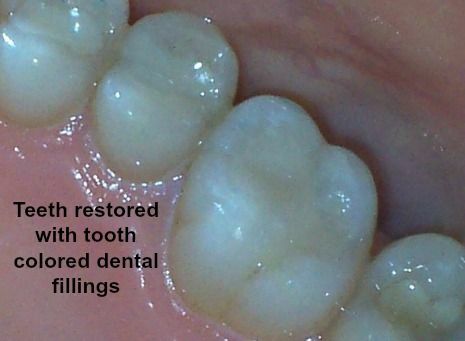 Ideal restoration when more than 50% of natural tooth structure is compromised. Covers and protects entire tooth from chewing and teeth grinding forces. Tooth colored option is porcelain which does not change color over time. Dental crown procedure requires two dental visits. Dental crowns outlast fillings and often last 20 plus years. Low risk of developing tooth decay around sealed crown edges. While only you can decide which option is best for you, a dental filling or a crown. Aside from cost, listed below are a few additional factors to consider before making your decision. They include questions regarding your medical/dental history, decay risk, and your oral health care habits. Do you have any known allergies to dental materials? are often bonded to the tooth using adhesives. And dental crowns, they are either fabricated from metals or porcelain and are bonded to the tooth using adhesives and cement. If you are aware or suspect that you may have a potential allergy to a dental material,it is best to discuss this with your dentist prior to making treatment related decisions. Do you currently take any over-the-counter supplements and/or prescription medications that impact your oral health and/or cause a dry mouth? vulnerable than a dental filling under such conditions. Do you smoke or use smokeless tobacco? Dental fillings, silver or tooth-colored, discolor as they age. This process is accelerated if you smoke or use smokeless tobacco. Additionally, smokeless tobacco is acidic and can impact the integrity and ultimately the longevity of the filling. Have you ever been told by your dental or medical professional that you are at high risk for developing tooth decay? People who are at greater risk for tooth decay often benefit from choosing a dental crown rather than a filling. The conditions in the mouth are often more acidic, dry, and/or have a thick, ropy saliva. Factors that have been associated with increased risk for tooth decay. The margins of a dental crown are sealed and have a easy to clean and smooth surface that minimizes the presence of plaque, tarter, and inflammation in comparison to a dental filling. Do you typically consume more than twelve ounces of soft or energy drinks more than 3-4 times per week? Both soft and energy drinks are acidic and erode tooth enamel when the ph in the mouth drops below 5.5 (6.8-7.0 is neutral). Duration and frequency not only impact the integrity of tooth enamel but of dental fillings as well. Generally speaking, dental crowns seem to fair better because the tooth is covered, but the margins where the crown and tooth structure meet are vulnerable to erosion from such drinks. Like soft drinks, candy erode tooth enamel. How much depends upon how often and how many dips into the candy bowl you make throughout the day. If you enjoy your sweet treats sparingly or in conjunction with meals, the ph in your mouth does not tend to drop as much as when consumed alone as a snack. When this is the case, a dental filling is a viable option. Do you find yourself sipping on water throughout the day to help alleviate the feeling of having a dry mouth? If you frequently sip on water throughout the day in order to help alleviate the feeling of having a dry mouth, it is a good idea to discuss this with your dentist at your next visit. People who suffer from dry mouth have a higher risk for developing tooth decay. Saliva helps to minimize collection of food particles from the surfaces of teeth and gums as well as helps to neutralize the ph inside the mouth. Do you brush and floss your teeth at least once daily? How effective you care for your teeth and gums between dental visits can impact the integrity and longevity of your dental restorations. Missing or not removing food particles and plaque (naturally acidic) from teeth surfaces and gums will enable harmful bacteria to multiply and cause gums to become puffy, bleed more easily, and more tender to brush and floss the area. Do you have your teeth professionally cleaned and examined at least once per year? 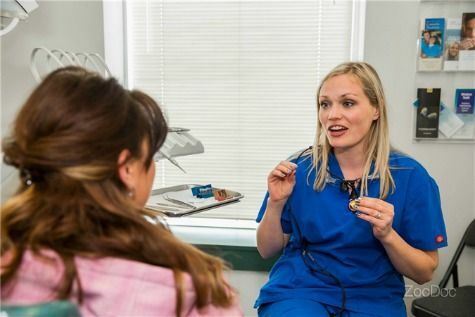 Maintaining preventive dental visits as recommended by your dentist will help your dentist to closely examine the margins and integrity of existing restorations and check for any potential developing tooth decay. Detecting tooth decay in its earliest stage is less invasive and less expensive to restore. Have you ever been told that you grind and/or clench your teeth while sleeping? Teeth grinding (also known as bruxism) and/or clenching your jaw while you sleep may impact the integrity and longevity of a dental restoration due to jaw forces. Jaw forces have the potential to render a chomp that can cause dental fillings and natural tooth structure to develop hairline cracks. These hairline cracks are often not visible and can expand and contract while chewing and/or with temperature changes that weaken the tooth (and dental filling). For these reasons, dental crowns are often a better choice— but not the only choice. An alternate option is to discuss the option of having your dentist fabricate a custom fit mouth guard that you wear while sleeping. 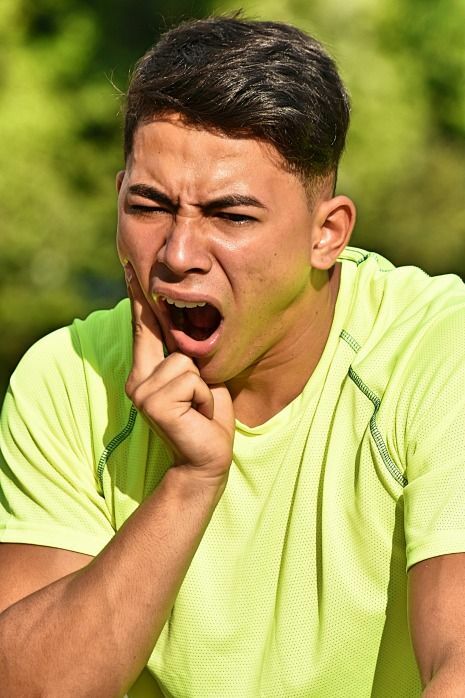 During sleep, the mouthguard serves as a cushioned, barrier from jaw forces by preventing the top teeth from interlocking with opposing bottom teeth. The most overlooked and hidden cost of choosing an oversized dental filling when the tooth really needs a crown are the associated replacement costs when the filling breaks prematurely due to jaw forces overpowering strength and integrity over the tooth with an oversized dental filling. At which time, your remaining options likely will be to either restore the tooth with a dental crown or to extract the tooth. This article provided you with an overview comparison of the difference between an oversized dental filling and a crown. A crown is like a cap that covers, protects remaining tooth structure from further breakdown, and is able to withstand the chewing forces from the jaw. Whereas a filling is supported by remaining natural tooth structure and mechanical retention. We also highlighted several important factors to consider before deciding if it is better for you to get a crown or an oversized filling. Only you can decide. As dental professionals, we do our best to carefully explain the pros and cons for each available option. We want to insure that we provide you with enough information for you to make an informed decision that best aligns with your oral and general health. Feel free to call (763) 586-9988 or email us with any questions you may have and/or to schedule an appointment today.